This post was written by staff member Jennifer Parker. When thinking of natural resources today, issues surrounding coal and other fossil fuels are often the first things to come to mind. Despite so much emphasis on "green" living and protection of our environment, our most basic, yet perhaps most important, natural resource seems to go unnoticed – our trees. Even if the focus turns to trees and their protection, problems surrounding deforestation are those that typically arise. However, in Kentucky and other nearby states, a new problem is threatening our trees, and thus an invaluable natural resource. That threat is the Emerald Ash Borer ("EAB"), a beetle native to Asia. The larvae of EAB, which "feed on the inner bark of ash trees," resulting in the trees' inability to "transport water and nutrients," are the source of the problem. Emerald Ash Borer, http://www.emeraldashborer.info (last visited Oct. 6, 2009). The problem in Kentucky appears to be in its early stages, with the first infestations having been confirmed just four months ago in May 2009. Emerald Ash Borer (EAB) FAQs for Kentuckians, http://www.ca.uky.edu/entomology/entfacts/ef453.asp (last visited Oct. 6, 2009). However, the impact in other states illustrates how severe these infestations can become and the significance of their presence in a state. For example, just in the area of southeastern Michigan, tens of millions of ash trees have been killed since discovery of EAB there in 2002. Emerald Ash Borer, http://www.emeraldashborer.info (last visited Oct. 6, 2009). As might be expected, legal steps have been taken to protect our trees and prevent the spread of EAB and subsequent destruction it causes. A recent 2009 Industry Note explains that twenty counties in Kentucky have been placed under a state quarantine in hopes of halting the spread of infestation. 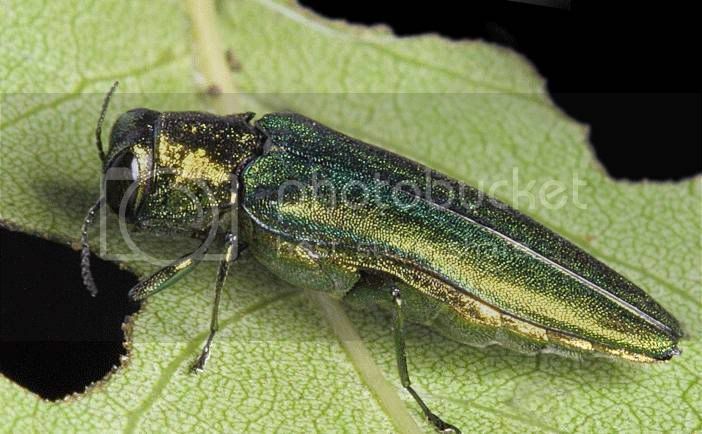 B. Ammerman, et al., Forestry Emerald Ash Borer – Industry Note August 2009: Shipping Ash Lumber and Other Ash Products, http://pest.ca.uky.edu/EXT/EAB/EABsawmil.pdf (last visited Oct. 6, 2009). With quarantines in place in other states with an EAB problem, the Kentucky EAB quarantine appears to be an appropriate and necessary step. However, there are restrictions underlying this quarantine that should be noted by Kentuckians. Specifically, the Industry Note states, "Once a quarantine has been issued it becomes a state violation to move ash wood products out of the quarantine zone without entering into an EAB Compliance Agreement with the Kentucky State Entomologist's Office." Id. With the beginning of autumn upon us and cold weather approaching, this quarantine and attached restrictions may impact Kentuckians purchasing, selling, and using firewood. Because there is little information made widely known without searching for it, it is important for Kentuckians (and residents of other states under EAB quarantine) to understand the legal restrictions on the movement of certain types of wood before finding themselves in violation of such. Even though not mentioned in the Industry Note, with a legal restriction, there is bound to be a penalty for its violation. Aside from the potential legal ramifications, those living in states under quarantine will hopefully recognize what a devastating impact the EAB infestation has had and will continue to have on one of our most valuable natural resources, and thus be provided with an incentive to abide by the restrictions in place and educate themselves as to the issues involved. Newer PostWould the Commonwealth Benefit from a Tax on Marijuana?